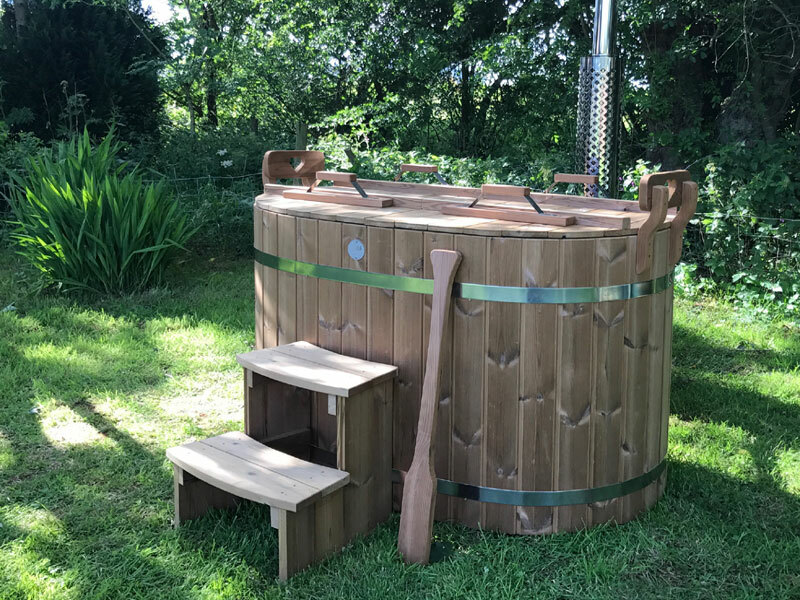 The Yurt Sanctuary at Orchard House is a wonderful place where you can relax and enjoy being surrounded by nature, whilst indulging in some luxurious pampering (including a wood-fired hot tub under the trees!). Set in a secure two-acre paddock within the wonderful Somerset countryside between Bath and Wells, you can escape from the daily grind in our beautiful off-grid yurt. Here you will be the only guests. 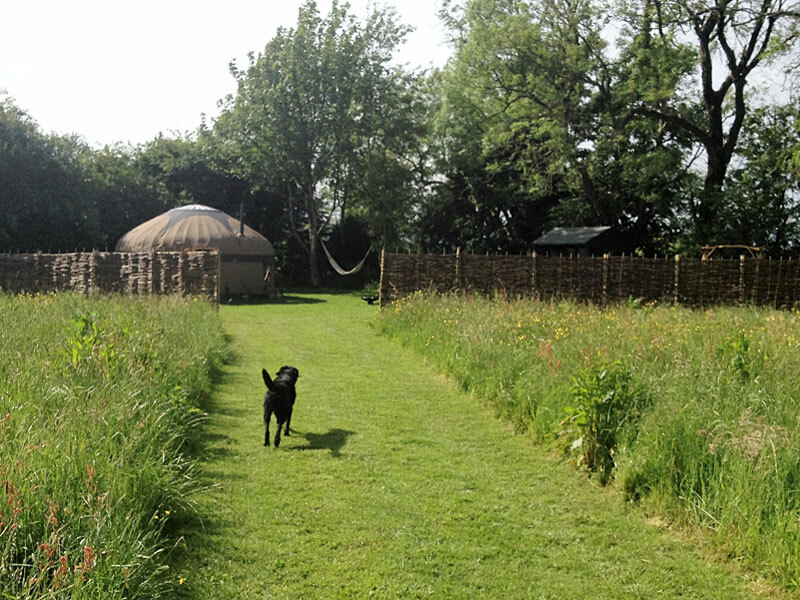 The Yurt Sanctuary is great for couples, children and especially dogs! ​Due to the fantastic location nestling on the edge of the Mendip Hills (AONB), you can enjoy a tranquil and secluded glamping experience, whilst still being within easy reach of many fantastic places to visit. Complete comfort under canvas - just bring your slippers! Your hosts (living at Orchard House) are Dan and Michele Bentley. Originally theatre performers in London, they now have “escaped to the country” and are loving every minute. Michele works with animals and runs Bentley Holistic Dogs, while Dan is a sought-after sports massage therapist (who also looks after the players on Bath Rugby team). Having been typical townies, they have now thoroughly embraced the country lifestyle and are delighted to be able to share a little of it with the Yurt Sanctuary guests. 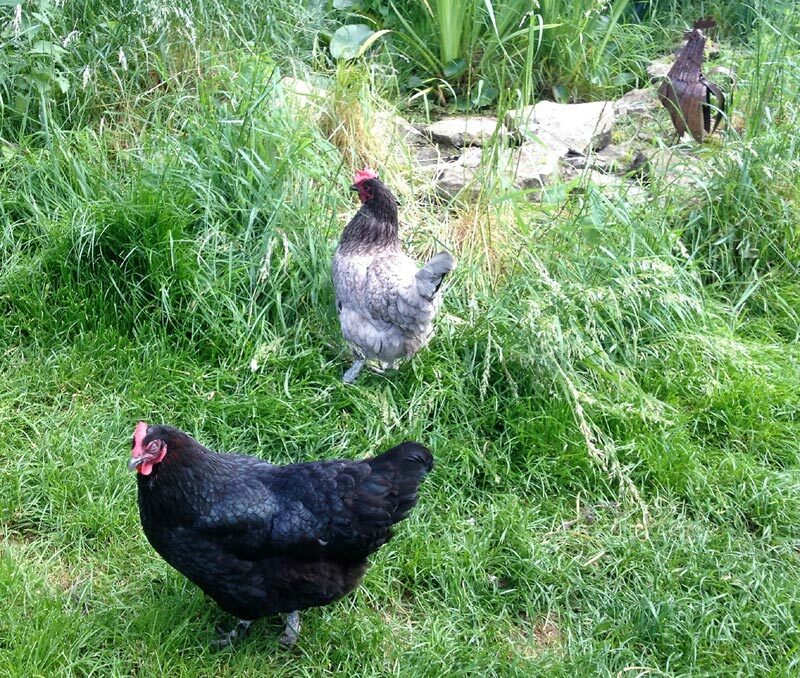 Come and feed the chickens and collect eggs for your breakfast from the Chicken Garden - we have a variety of breeds of hen and they lay different colours, including blue and green! 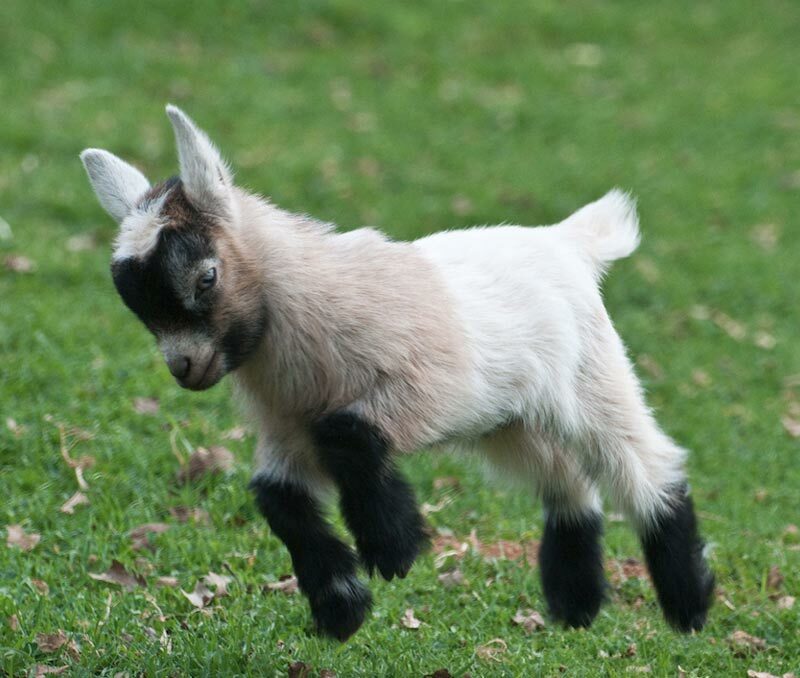 You can also spend time watching the antics of the crazy baby pygmy goats …. they have been raised with children and are very happy to be stroked! There is a wide selection of kids’ toys and games (both outdoor and indoor). Our baby pygmy goats are so much fun! We also have a fabulous mobile beauty therapist available, so why not also treat yourself to a manicure or facial…. a little pampering while your glamping! 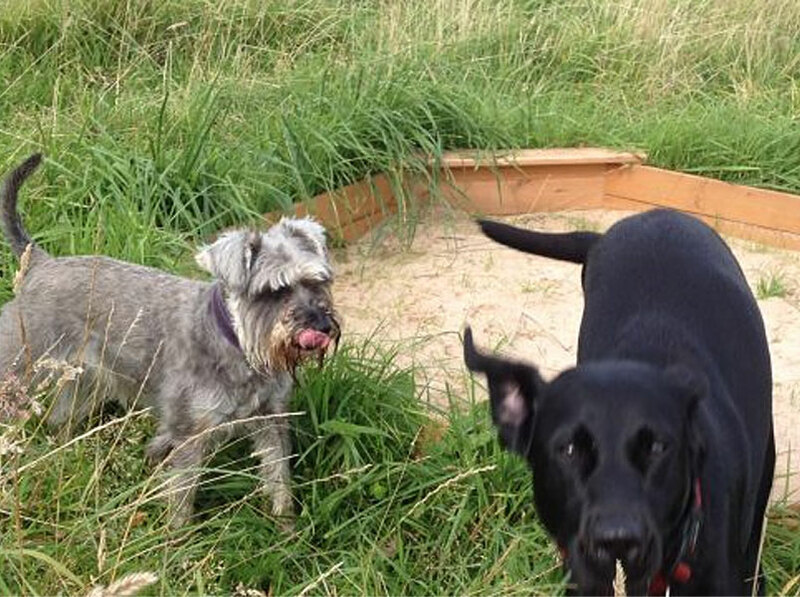 We can also offer other holistic therapies including canine behaviour counselling, handling 1-2-1 sessions and Zoopharmacognosy (animal self-selection healing with natural remedies). Please discuss with Michele in advance of your stay. If you would like to find out more, please feel free to contact us without obligation - we are always happy to try and help with any queries and requests.